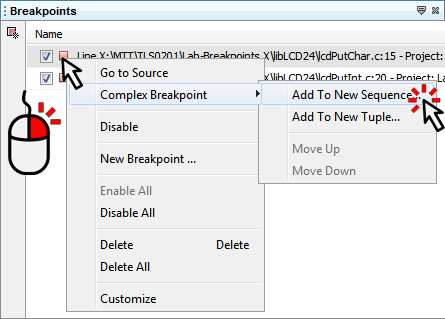 Right click on the first breakpoint you want to add to a sequence and select Complex Breakpoint ▶ Add to New Sequence… from the pop-up menu. Give the sequence a name. 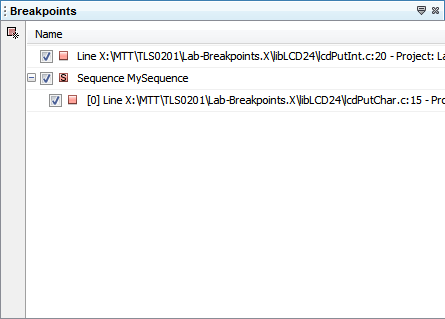 This can be anything you want and is simply used to identify this sequence in the breakpoints window. At this point, you have a sequence that contains one breakpoint. While it will work, it isn't truly a sequence until there are two or more breakpoints within the sequence. 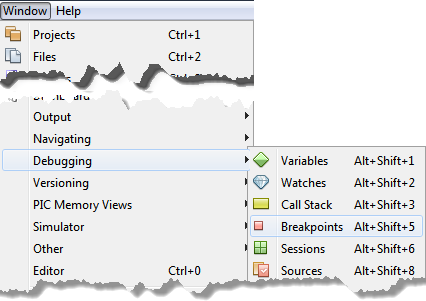 Right click on the next breakpoint you want to add to the sequence. 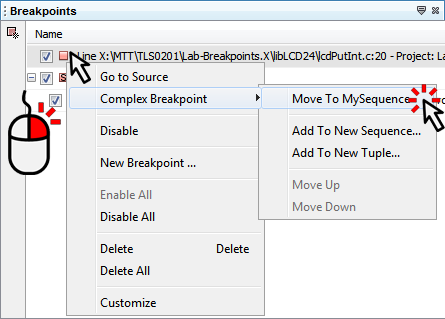 Select Complex Breakpoint ▶ Move to MySequence… where MySequence is the name you provided in step 3. 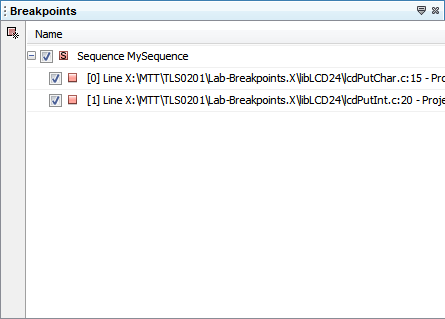 After adding a second breakpoint (of any simple type), it is now a functional sequence. However, you can repeat step 5 as many times as needed to insert additional breakpoints to the sequence. Once you have added all the desired breakpoints to the sequence, you may need to change their order.